For the candidates, the election has already begun. Designating petitions for party nominations could be signed beginning June 2. For Republican candidates, thirty-four valid signatures are required. The dates to file these petitions with Delaware County Board of Election were July 6 to 9. Incumbents Jeff Taggart and Mark Laing are the only two on the Republican ballot for Supervisor and Highway Superintendent respectively. Challenger Pete Bevilacqua will be running for Supervisor on the Democratic line. Mrs. Dawn Ritz is running for the first time for Town Clerk on both the Democrat and Republican lines. Designating petitions for candidates running independently could be signed beginning July 7. For independent candidates, forty-two valid signatures are required. The dates for filing are August 11 – 18. Eligible to sign are Franklin residents who are registered to vote or will be eligible to vote by Election Day. One must be registered in a party to designate a party candidate. Whatever your registration, you may designate someone running independently. But you may designate only one candidate for each position, either in a party or running independently. 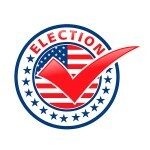 To register to vote in the primary elections, the last day in person is August 14 and by mail post marked by August 15. Voting in the primary will be Thursday, September 10, noon to 9 p.m. Dwight Bruno, Donald Hebbard, and Don Smith will be contending for the two Council seats in the Republican primary. General election is Tuesday November 3, 6 a.m. to 9 p.m. For all three voting districts in Franklin, the polling place is the town garages at the intersection of State Highway 357 and County Highway 21.